It has a cone shape design with a somewhat thicker abdomen section, so it will be especially useful for doing deadlifts, squats, cleans, snatches, and more. The white suede lining requires gentle care. 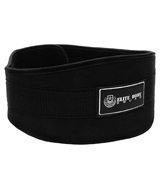 If you are a professional athlete and often lift extremely heavy weights, get this premium weight lifting belt. It's made of durable cowhide leather and has carbon fibre padding to give you maximum comfort. Cotton lining is not only very gentle to your body! It also wicks away sweat perfectly, which makes it a good choice for vigorous workouts. Because of its extremely light weight and excellent flexibility, this model is best suited for people who are seriously engaged in CrossFit. You can wear this belt throughout the entire workout, as it won't restrict your movements. Additional inserts in the lumbar area are made of a special heavy-duty material. So, the belt will significantly reduce the load on your spine when lifting heavy weights. The Velcro is lacking in quality. 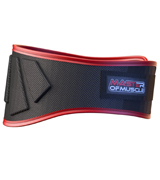 The Master of Muscle belt is great for almost any kind of sports. It's compact and flexible, yet offers excellent lower back support and helps prevent muscle and joint injuries while performing various exercises. The unique curved shape of the belt completely conforms to the contours of your body. Thus, it does not slip off the waist area during exercising. The sizing is not very accurate. The versatile belt from the Fite Team Fit will fit both men and women. It boasts a stylish look and will definitely spice up your sports outfit. 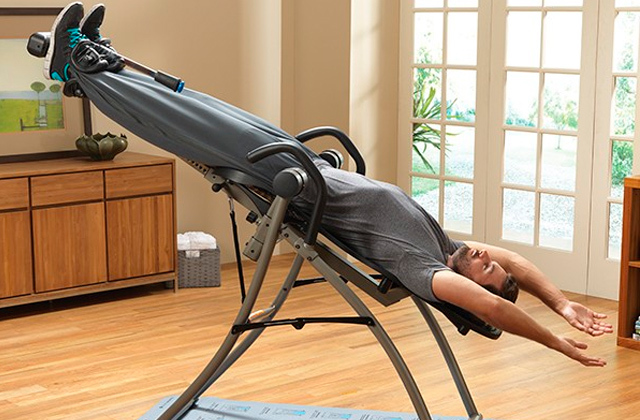 It will reliably serve you for many years, reducing stress and injury to your lower back. Double stitched edges and centre make the belt even more durable and prevent tearing around the holes for prongs. The belt is very supportive and stiff, yet it doesn't scratch the skin. The logo is too massive. 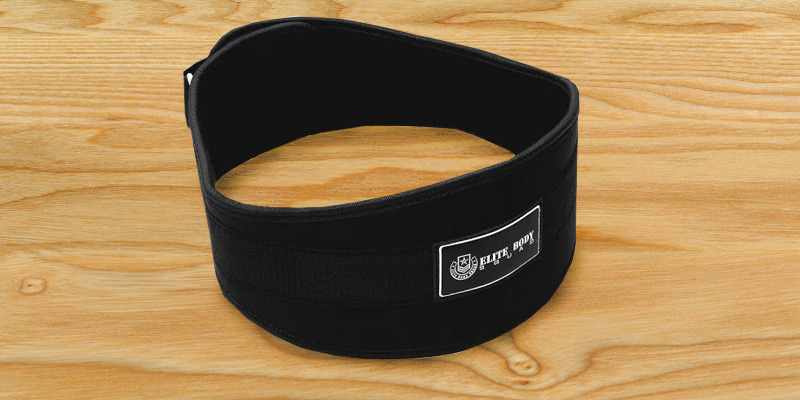 This 10-cm belt from AQF will hug your torso equally all the way around to support your core, back, and sides. It's excellent for deadlifts and squats with a heavy barbell. 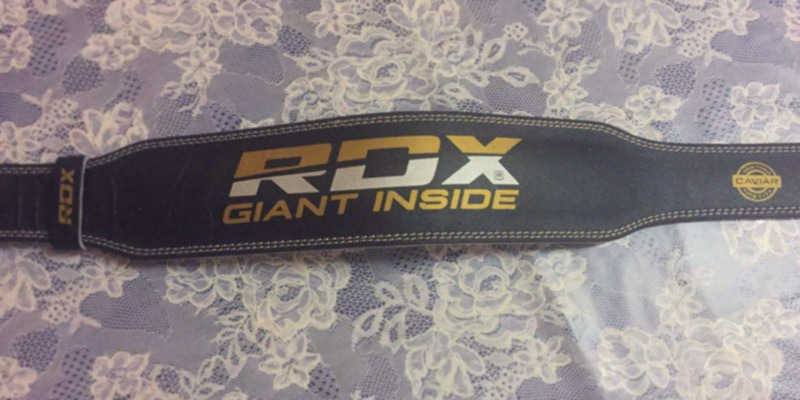 The RDX leather belt has the feel of old-school weightlifting belts! It's made of genuine cowhide leather that is oil-fixed to be incredibly strong and durable. Therefore, you needn't worry that it might tear or break when you are squatting or deadlifting several hundred kilos. 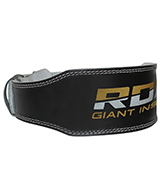 The RDX weight lifting belt has double-stitched edges and a white suede lining, thus, it won't leave splotches on your sportswear. The suede lining is very soft and comfortable, it doesn't chafe your body yet provides reliable fixation and gentle support. Also, it has moisture-wicking and odour preventing properties. The belt has a special lumbar pad that helps with posture, providing an optimum position of your body for bodybuilding or powerlifting. The strong chrome buckle can bear significant loads. The training belt uses a double-prong buckle that feels solid and durable. The belt has a great number of buckle holes to give you plenty of scope for weight loss or muscle growth. This premium belt is probably one of the most comfortable and supportive ones on our shortlist. 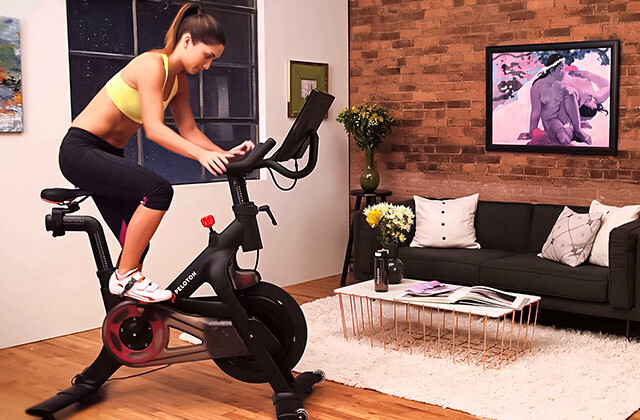 It'll definitely change the way your exercise! The Body Squad belt is an exceptional fitness product that will deliver superior support to your back. Due to quality materials and a very high standard of workmanship, it's one of the best all-around belts on the market. The belt is pretty wide and very comfortable to wear. It’s a well-made belt with no stitching coming apart. It has a strong neoprene core and cotton-lined padding to wick away sweat during intense exercising. This model has bound and stitched edges so as not to cause skin irritation or slip down. Although it gives a great level of support, it's comfy enough for dynamic CrossFit workouts that require a wide range of movement. Thus, this neoprene belt is good for weight loss as well. 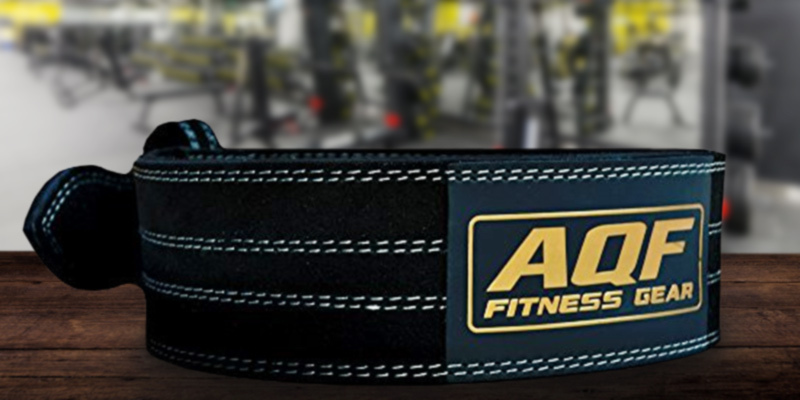 This belt has a consistent width and does a great job at keeping all your core tight and mitigating back pains for squatting and deadlifting. It features a Velcro closure and stainless steel hook that make adjustments very quick and easy. The item is quite lightweight and easy to carry. It can be folded almost flat for convenient storage and transportation. The belt is offered in Small, Medium, Large, and XLarge sizes. To get the perfect fitting model, take a tape measure and wrap it around your waist including your belly button. If you are between sizes, the manufacturer recommends you to go for the smaller size for a tighter fit. The Master of Muscle belt is a real godsend for weightlifters! It can maximise your performance by increasing your power and muscle strength. It's pretty flexible and provides good support for your lower back when lifting heavy weights. Thanks to its contoured shape, it neither digs into your sides or stomach nor impedes your movement. This is a medium-thick model that is best suited for those athletes with a medium to long torso. 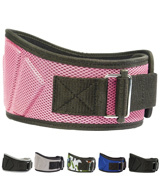 It has a padded adjustable strap with the Velcro fastener that makes the belt easy to adjust. 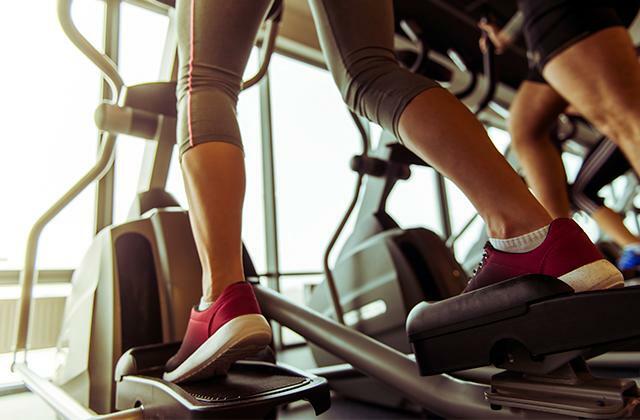 You'll be able to quickly loosen or tighten the belt, which is especially useful for workouts with a lot of different exercises when you only have short rest between them. The metal ring that you loop the strap through is very solid, so you'll never feel like the belt might lose grip. Unlike leather belts, this one can fold neatly into your gym bag! Actually, this belt is very flexible, soft, and comfy. 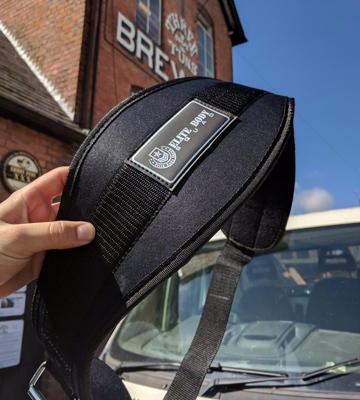 It's not bulky but offers a lot of support to minimise injuries during the major exercises. 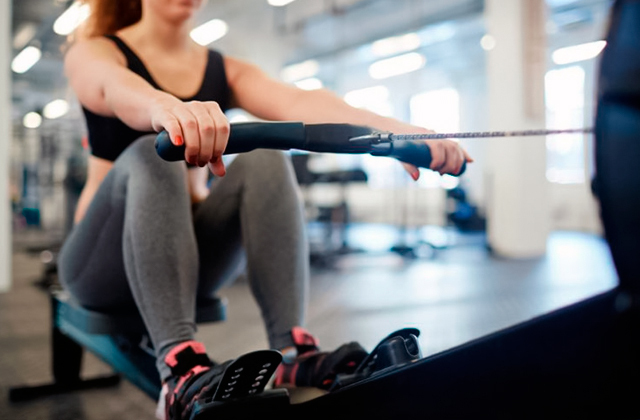 It's great for everything from weightlifting to Crossfit. This workout belt is available in 4 sizes and comes with a free eBook 'Ultimate guide to weight lifting technique'. The book contains information not just about the belt but also some tips on how to avoid back problems during workouts and in everyday life. The Fire Team Fit lifting belt is a fantastic model for both men and women. It's lightweight, supportive, and incredibly comfortable to wear. It has a smart design with somewhat thicker abdomen and back sections, so it doesn't hinder your movements when you're doing deadlifts, squats, jerks, power cleans, military presses, and more. It's not bulky and easy to put on and take off. 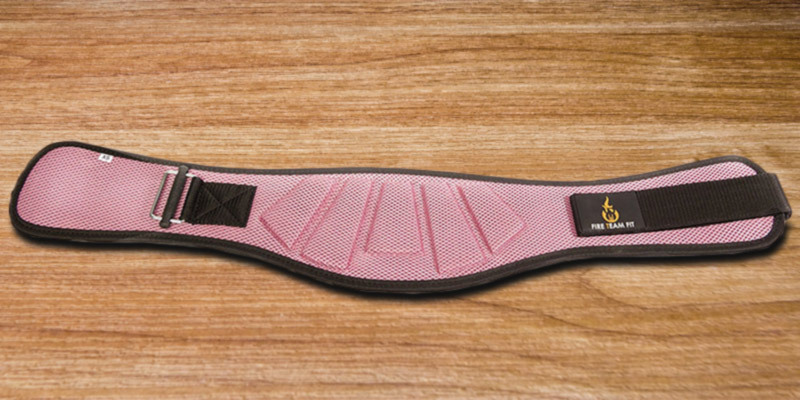 Not only can you use this pink weight lifting belt for exercising. It is also ideal for maintaining good posture while you're picking up heavy objects around the house. This multipurpose belt is flexible and robust. It's designed with the Velcro support strap, meaning you won't experience messing around with a buckle-type fastener. And unlike those belts with a predetermined set of holes, this one gives you an ability to adjust its tightness for the maximum comfort and support. This design also means that you will still have enough mobility for CrossFit WOD's. The belt is available in 4 sizes - X-small, Small, Medium, and Large. You can choose stylish Camo, Black, Blue, Grey, and Pink colours to match your athletic outfit. So, feel and look your best while pushing your limits and setting new personal records! 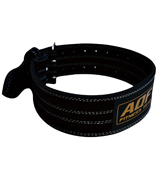 The AQF Weight Lifting belt offers fantastic quality for the price. It's manufactured from strong and thick nubuck leather which makes it feel very secure and reliable. It ensures excellent support for your core, back, and sides. The belt is 10-mm thick and is 10-cm wide all the way around to hug your torso and lower back equally well. The four rows of double stitching seem solid and are supportive under heavy loads. The belt offers plenty of adjustments to wrap your torso snugly. The belt is very stiff but yet very easy to wear. A massive double-prong buckle allows you to mould the belt exactly to your shape to create the optimum pressure for lifting heavy weights. You can safely use the belt on heaviest sets of squats, deadlifts, curling in the squat rack, and other composite exercises. 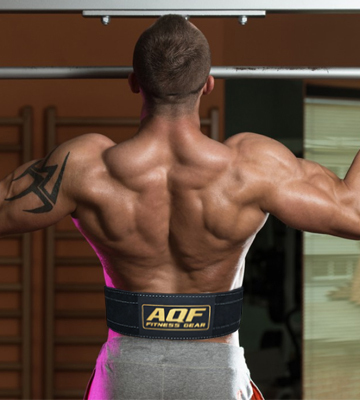 The AQF belt is available in 5 sizes so that any athlete can choose the one that will fit him best. The sizing is spot on, so you just need to measure your waistline correctly. A traditional cylinder design, black colour, a stainless steel buckle, and double stitching make it look pretty classy. It performs its function amazingly, providing you with adequate support in lifting heavy weights. It's truly one of the best weight lifting belts for men. If you are seriously engaged in weightlifting or powerlifting, a weight belt is a must! In this review, we're going to break down what it actually does. 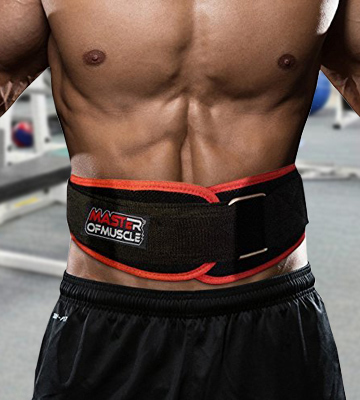 This belt primarily supports your abs to prepare your entire body to lift heavy loads. 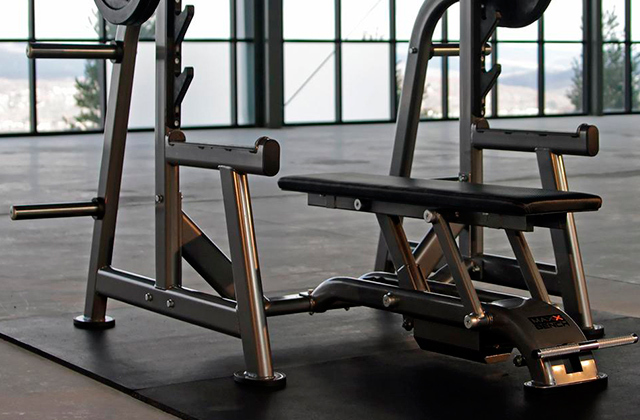 It fantastically boosts your lifting efficiency so you can bang out a little more weight. The weight belt is especially useful when you are squatting or deadlifting heavy weights. It significantly reduces abdominal pressure and helps you avoid lower back injuries. 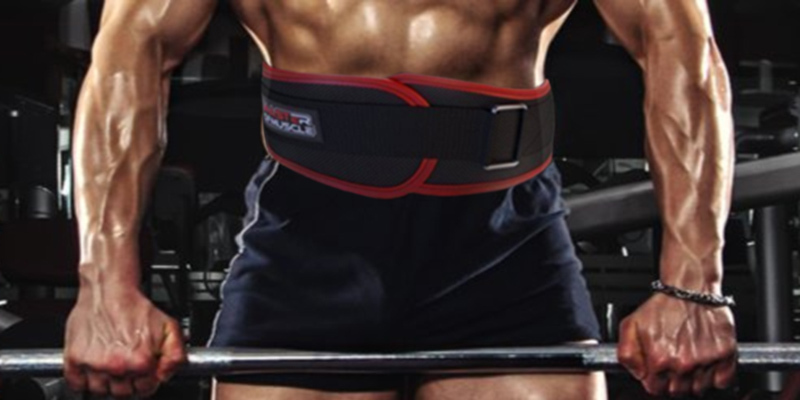 With the help of this belt, you will be able to lift heavier weight with less effort. Keep on reading our review of the best weight lifting belts and take your pick. Also, you may be interested in kettlebells or dumbbells for effective at-home workouts. Protein bars or Whey protein powders can help your muscles recover faster after training, while weight gainers will help you build lean muscle mass. Although all lifting belts are used to prevent injury and support the torso, there are two main types you can choose from. The belts for weightlifting, bodybuilding, and CrossFit are wide at the back and tapered at the front. If you need a freedom of movement, then take advantage of a tapered belt. As for powerlifting belts, they have the same width all around, thus provide great support not only for the back but for the abdominal muscles as well. These belts work best for deadlifts and squats. 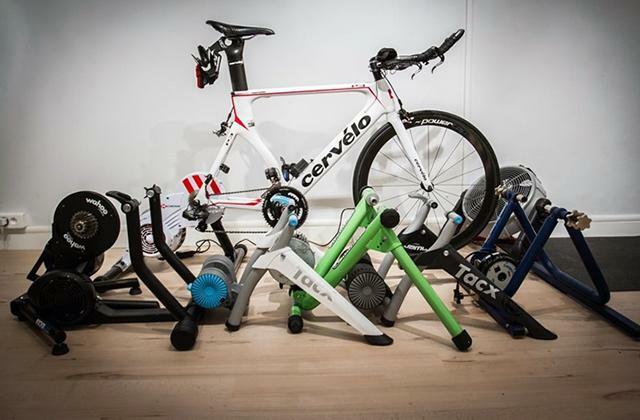 So, before making a purchase, take a moment to consider what is more important for your workouts, mobility or support. When it comes to material, there are two main choices: leather and synthetics. Leather belts are more durable and will last longer than those of nylon. In terms of stiffness, genuine leather belts are on a stiffer side too. The inner portion of these belts should be as soft and gentle as possible in order not to cause discomfort. The optimal solution is a suede lining. Lifting is a kind of sports where the athlete's weight usually fluctuates. Therefore, we advise you to choose the belt which you can buckle somewhere in the middle of the range. Please note if you plan to take part in sports competitions, there are certain requirements for the size of the belt. For example, according to the IPF rules, a powerlifting belt cannot be thicker than 13 mm (½ inch) and wider than 10 cm (4 inches), whereas the acceptable width of a weightlifting belt should be 12 cm (4.72 inches). If you wish, you can find more information here. Your belt should be easy to clean and comfortable to wear. It’s not the end of the world if a belt is too tight since you can always punch additional holes if necessary. The belt with stitched bound edges and a heavy-duty buckle will not lose its shape and will be able to withstand an astounding amount of weight. If you need a portable belt, consider its dimensions so it can fit your backpack for convenient storage and transportation. Q: What does a weight belt actually do? A: First of all, gym belts reduce the stress on your spine. The fact is that wearing a belt increases intra-abdominal pressure by 40-50 percent, and this pressure supports the spine from the inside, while the core muscles push on the spine from the outside. This way, your spine is stabilized from inside and outside, and the chances that you may injure you back are reduced significantly. A belt also forces you to lift the weight more with your legs rather than with your back. Q: What’s the right weight belt width for me? A: To put it simply, the wider the weight belt the greater the support. Yet, an overly wide belt might limit your movement. So, you have to decide whether your lifts are more powerlifting focused and you require less mobility or you need a bit more freedom for weightlifting. As a rule, wide belts work best for tall people who want more support for powerlifting, while narrower models are good at providing just a bit of additional support for weightlifters. Q: When shouldn’t I wear a weight belt? A: Actually, there are some red flags to using a belt. If you have health issues like high blood pressure, you should not wear a belt. In case you can’t lift weight properly, don't wear a belt as it might promote poor technique. If you don’t squat, deadlift, or do overhead pressing, a belt isn’t a necessity. Q: How to lift weights safely? A: Safety should always be your priority. 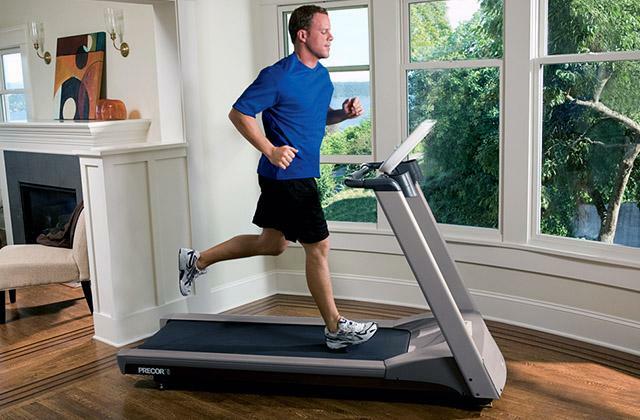 We advise you to keen on long-term fitness goals to minimize injuries. It's better to train under supervision of a trainer to learn correct weightlifting technique and stick to a proper sports routine. It's important to warm up your muscles before every workout and have enough rest between training. Q: How to breathe properly when lifting weights? A: For long-distance running and swimming you should maintain a rhythmic breathing technique trying to breathe through your nose. This will help you stabilise your spine for performing different exercises. So, if you're not lifting crazy weights, simply remember to breathe normally. Q: Can training with a belt make my core weak? A: A big no. Wearing a belt for doing squats and deadlifts doesn't affect the activation of your abdominal muscles. Q: How to take care of my belt? A: A weight belt requires simple maintenance; wipe it clean after each session and store away in a dry place. If your belt becomes tighter or looser over time, you can punch a few more holes in it. Q: Can I use a weightlifting belt all the time? A: Definitely, no. Your belt serves to support your abs and spine, allowing you to exert more pressure so as to lift more weight. It would be better to use the belt only when you lift really heavy weights and then when you deload. This will allow your core to catch up with the rest of your body. 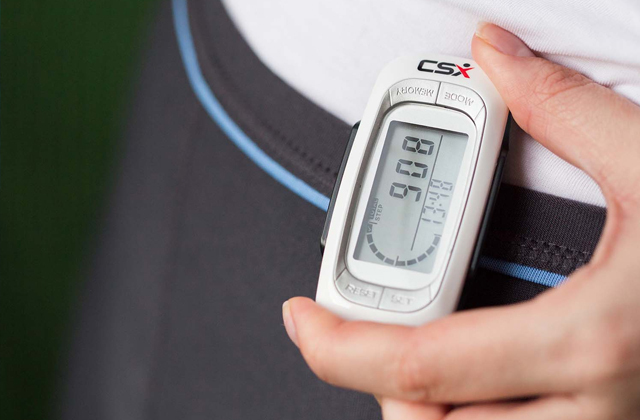 It’s also very important to cycle using your weight belt over the weeks and months. 1. Riana Rohmann Advantages & Disadvantages of a Weight Lifting Belt, LIVESTRONG.COM. June 25, 2015. 2. Stephanie Lee When Weightlifting Belts Are Necessary, and When They're for Show, Lifehacker. March 28, 2016. 3. Martijn Koevoets Choosing The Right Belt For Powerlifting, Juggernaut. 4. Tony Gentilcore Tip: Learn to Use a Weight Belt Correctly, T Nation. May 28, 2016. 5. Back belt, Wikipedia. July 26, 2013. 6. Kim Nunley Advantages & Disadvantages of a Weightlifting Belt, Chron. 8. The beginner's guide to weight training, Men's Fitness. 9. Powerlifting Training For The Beginner! Bodybuilding.com. 10. Best Beginner Weight-Training Guide With Easy-To-Follow Workout! Bodybuilding.com.